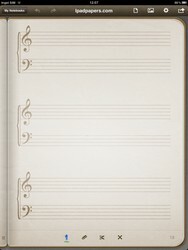 Here is another staff paper with both treble and bass claves. 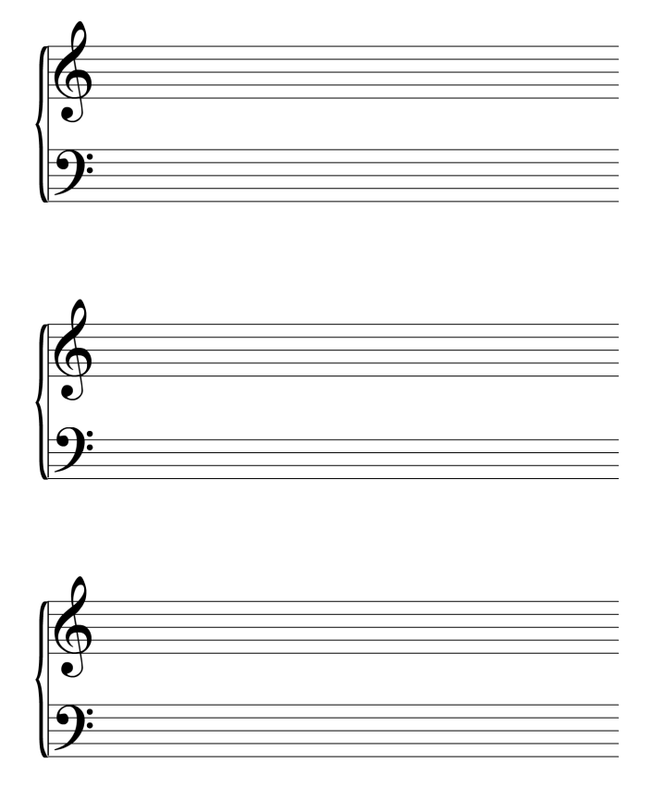 Suitable for piano. 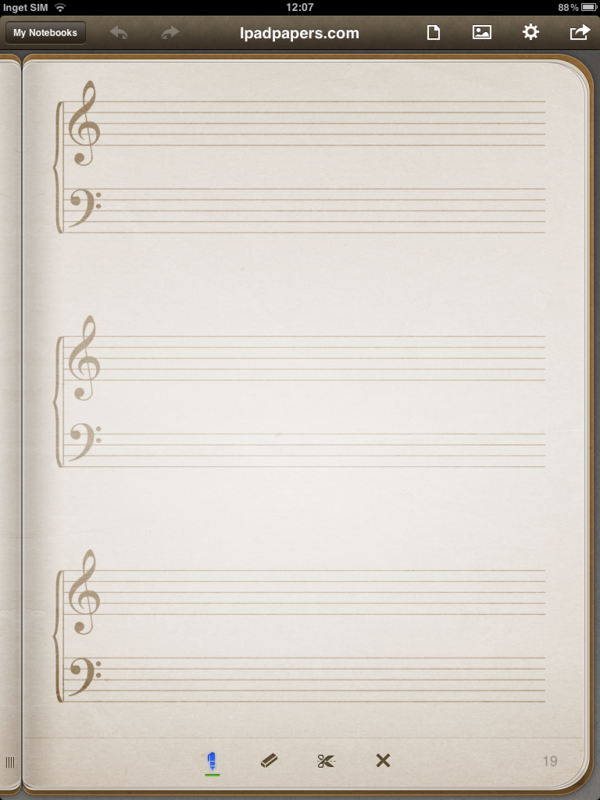 Very large spacing for easily jotting down your score on the ipad.